The English Department provides its undergraduates with a variety of internship experiences in the worlds of scholarly and literary publishing, as well as digital humanities, tutoring, academic research, and community outreach. Students receive departmental course credit or hourly wages, depending on the internship. These internships offer students valuable work experience to go along with their first-rate educations. For help with cover letters, resumes or CVs, interview strategies, and more, please visit the CLA Career Center! Arthuriana is poised on the cutting edge of current debates in Arthurian studies. Contributors to the journal include the top scholars in the field who bring fresh perspectives to Arthurian literature. Students who participate in an internship with Arthuriana will learn about the exciting world of medieval academic scholarship, acquire important professional experience, learn to supervise copyediting sessions, and get acquainted with the journal publishing process. 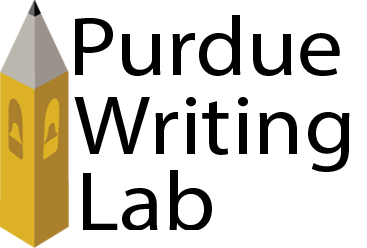 The Arthuriana intern will be a vital part of our publishing team and will build organization, communication, and management skills. Applicants should be English majors or minors with a minimum GPA of 3.0. An interest in medieval literature is also welcome. Applicants should also be detail-oriented, able to work in teams and independently, and possess strong verbal and written communication skills. A letter of interest of no more than one page (please include a phone number and email address), with 500 words on why you are interested in the position and would like to work for Arthuriana. To apply for this position, please email the requested application materials as a single PDF file to Prof. Pacheco at <dpacheco@purdue.edu> by 12:00 PM on Thursday, March 7, 2019. The College of Liberal Arts and Chegg Inc. have partnered to further both groups' shared goal to help students worldwide become better writers. Chegg Inc. offers an AI-powered platform to offer on-demand access to tools that advance student success in school and the workplace. Help run two scholarly sites devoted to publishing scholarship about nineteenth-century British art, history, and literature. Tasks may include: database maintenance, geospatial mapping, and user support. BRANCH provides users with a free, easy-to-use, and peer-reviewed overview of the period 1775-1925. Unlike dry chronologies that simply list dates with minimal information about the many noteworthy events of a given year, BRANCH offers a compilation of a myriad of short articles on not only high politics and military history but also “low” or quotidian histories (architecture design, commercial history, marginal figures of note, and so on). Authors come from History, Art History, and English departments across the world. 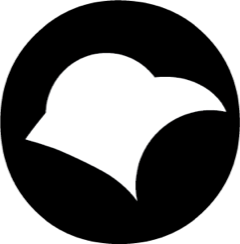 COVE is a scholar-driven, open-access platform that publishes peer-reviewed Victorian material; provides tools to support Victorian research and pedagogy; and advocated for the interests of the humanities. Students interested in interning with BRANCH or COVE should contact Prof. Dino Felluga at felluga@purdue.edu. These interns work with the Director of Undergraduate Studies to develop content for the English department’s blog. Interns can expect to write content ranging from career advice columns, to book reviews, features on English major research projects, undergraduate interns, class or faculty spotlights, and more. Applicants should be English majors or minors with a minimum GPA of 3.0. Applicants should be organized and detail-oriented, able to work independently, and possess strong verbal, written, and interpersonal communication skills. A letter of interest of no more than one page (please include your email address), along with the names and emails of 2 references. To apply for this position, please email the requested application materials as a single PDF file to Prof. Pacheco at dpacheco@purdue.edu by 12 PM on Thursday, March 7, 2019. Crow is a web-based platform that supports research and professional development in applied linguistics and rhetoric & composition. Our team, spread across multiple universities, is working to build a corpus and repository of student writing materials that is accessible to researchers and instructors across writing studies. This platform provides a means for users to share data between institutions and to explore connections between student writing (corpus) and pedagogical materials (repository). All Crow researchers develop a variety of skills while working directly with faculty and graduate students from multiple fields. Paid internships are possible, pending grant funding. Résumé or curriculum vita including the names of at least three references. Applications are accepted at any time. For course credit, applications need to be submitted at least one month in advance of the first day of classes. For more information, visit our website at writecrow.org or contact Professor Bradley Dilger at dilger@purdue.edu or 309-259-0328 (voice or text). Learn the world of academic publishing by working with the staff of MFS Modern Fiction Studies, an internationally recognized journal. Responsibilities of the MFS undergraduate intern include interacting with university presses, working on archival and digitization projects, and aiding in the daily operations of a top-tier academic journal. This position is suitable for undergraduate English majors who are interested in pursuing a graduate degree and/or a career in academic publishing. Applicants should be English majors with a Literature concentration. An interest in British, American, and postcolonial fiction from 1890 to the present is also welcomed. The successful applicant will be motivated, reliable, detail-oriented, and able to work both independently and collaboratively. Applicants also should be familiar with MLA style and documentation requirements, proficient with MS Word, and able to work with either Windows or Mac operating systems. A letter of interest of no more than one page (please include a phone number and email address). A resume or curriculum vita. A writing sample of 4-5 pages showcasing your best academic writing. NAVSA, which started at Purdue, is now the largest organization in the world dedicated to the study of Victorian Britain. Help run the organization by maintaining NAVSA’s database, blogs, and Twitter feed! Purdue Language and Cultural Exchange supports international students learning English as a second language, and provides cultural support as they adjust to life at a U.S. university. This internship is affiliated with ENGL490001 Internship in English Language Teaching, Learning, and Acquisition. In this course, students gain hands-on experience in the PLaCE Program and learn about second language teaching, learning, and assessment in an adult ESL context. Interns will have the chance to work directly with PLaCE staff and students. The internship will provide experiences to learn about curriculum design, lesson planning, material creation, and instruction. Activities may include training, observations, individual projects, and teaching or tutoring PLaCE students. PLaCE works with undergraduate and graduate students who have come from countries where English is not the native language. These people bring an essential cultural diversity to the campus and enrich our academic environment, but they need support in adapting to life and university study in a new country. PLaCE helps to ensure that these students are able to integrate into the Purdue community, develop relationships with U.S. peers and engage in intercultural experiences that benefit everyone on campus. 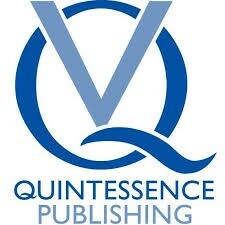 Quintessence Publishing USA is a Chicago-based firm specializing in the latest scientific and clinical books for the dental community. The company has publishing houses in 14 countries, with licensing partners in 7 more. 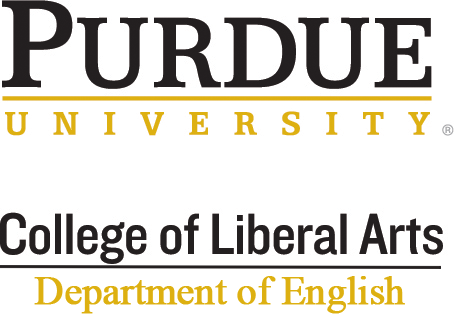 Quintessence is partnering with the Purdue Department of English to offer a paid summer internship for English majors. Offering excellent mentoring and firsthand publishing industry experience, this internship is a perfect resume-builder. Pair it with a College of Liberal Arts “Job Ready” Award or an English Department subvention, and you’re ready to go! Applicants should also be detail-oriented, able to work in teams and independently, and possess strong verbal and written communication skills. To apply for this position, please email the requested application materials as a single PDF file to Prof. Pacheco at <dpacheco@purdue.edu> by 12:00 PM on Friday, March 1, 2019. Are you witty, charming, and well read? Each year, the English Department selects undergraduates to intern as social media assistants! Interns work with the Director of Undergraduate Studies and Web & Media Coordinator to develop content for the department’s social media feeds, and to craft a unique voice for engaging current and prospective students, parents, and alumni. Tweeting approximately 3-5x daily, M-F, as well as sharing English-related information and promoting departmental events or activities via social media. 1 pg. page interest letter (please include your email address), along with the names and emails of 2 references. Thanks to the College of Liberal Arts’ Margo Katherine Wilke Undergraduate Research Internship program, students can receive $500 to work with an English department faculty member on a research project of their choice. They also take part in a 1-credit internship seminar introducing them to research methods and ethics, and graduate education. Recently, our students have assisted faculty with research on pirates, The Hobbit, digital humanities, Milton in translation, black feminism, bioethics, science fiction, museum archive studies, and more! Our award-winning Writing Lab helps students develop as writers, no matter what their skill level. It offers both on-campus consultations and online resources. This internship is affiliated with ENGL 39000 Practicum In Tutoring Writing, which prepares undergraduates for tutoring in the Writing Lab. Students will learn writing center theory and gain hands-on experience with writing strategies. Applications are due Monday, March 8, 2019.